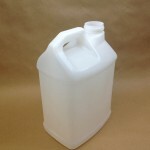 F style plastic bottles and jugs are available in sizes from 16 ounces to 5 gallons. 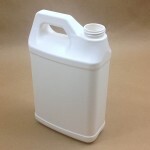 The 16 ounce – 1 gallon jugs are white high density polyethylene and are fluorinated. 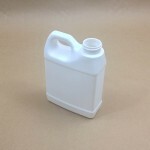 The 2.5 gallon bottles/jugs are available either in a 2 pack reshipper box or a 24 box bulk pack. 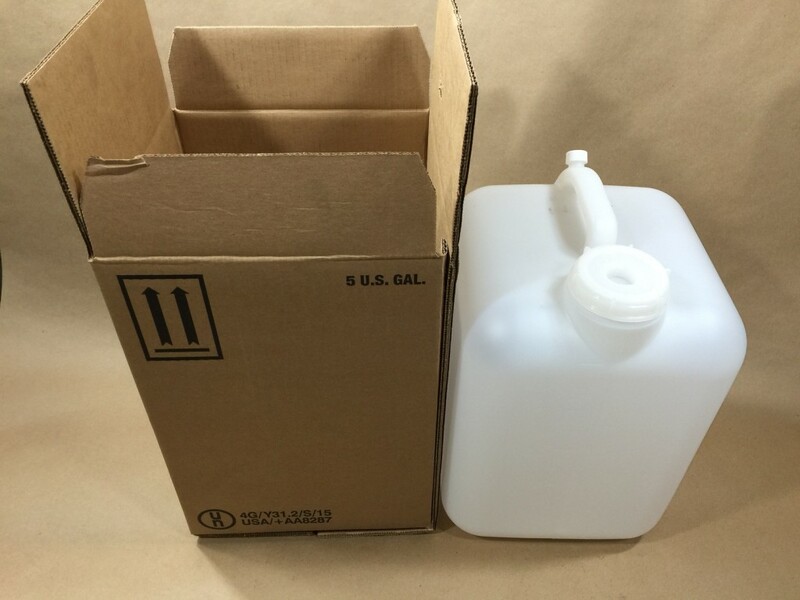 These 2.5 gallon bottles have gallon and liter graduation marks. 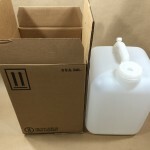 The 5 gallon bottle is available as a bottle only or with a UN designation with the bottle packaged in a box. Please read the description of each item to determine if it has a UN rating. 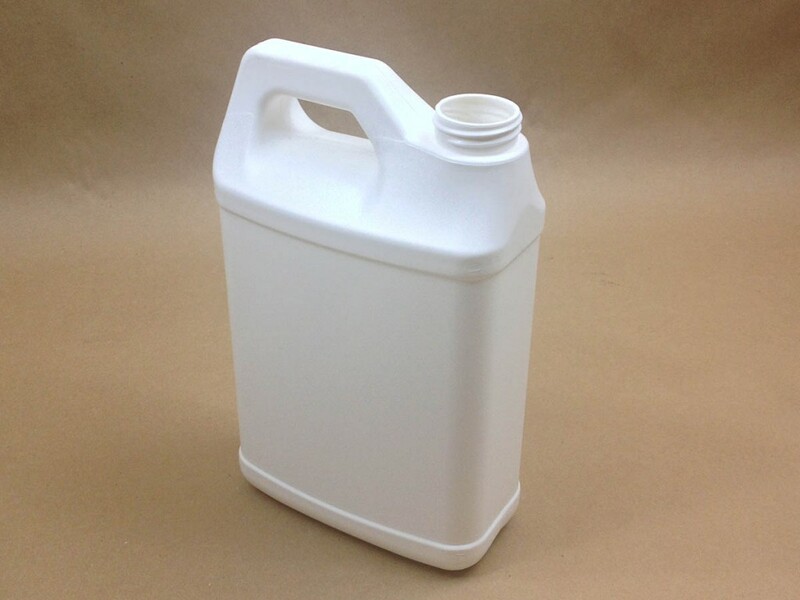 These containers are used in many applications such as to package insecticides, herbicides, food products, cleaning solvents, olive oil, degreasers and many more. 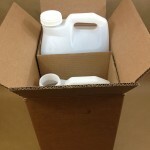 As it is the responsibility of the shipper to be sure his product is compatible with the packaging, we advise calling for a sample to test with your product. 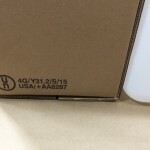 Looking for something different in UN4G packaging? 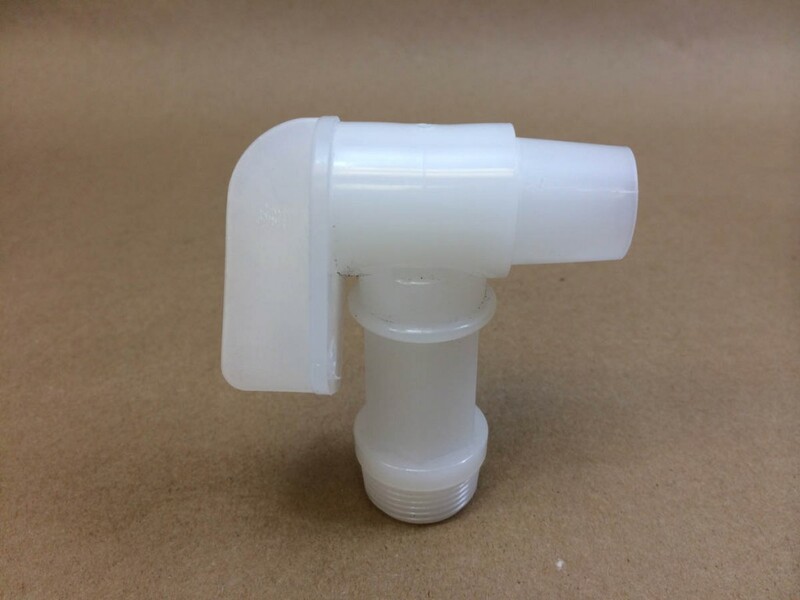 Check out our E-tainer Kubes, a collapsible plastic bladder in a box. 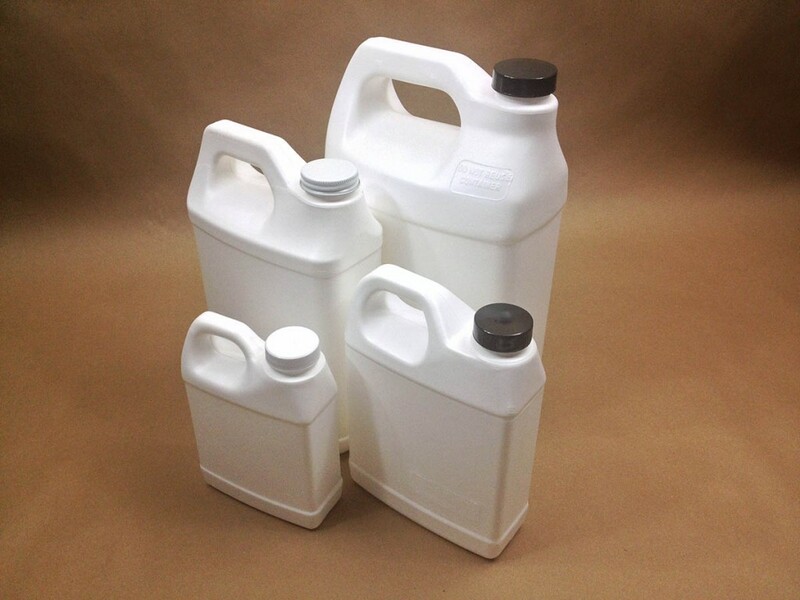 Our pint, quart, 1/2 gallon and gallon F style jugs are fluorinated. 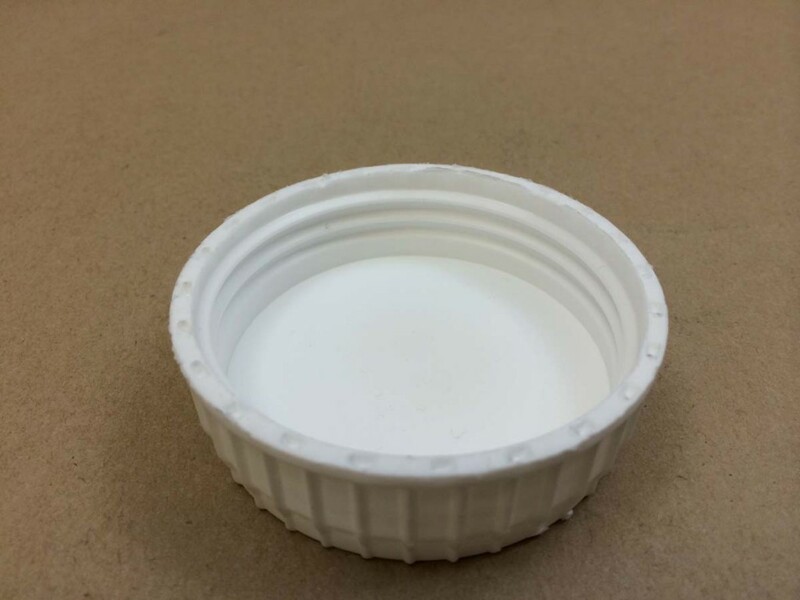 An article explaining the fluorination process may be found here. 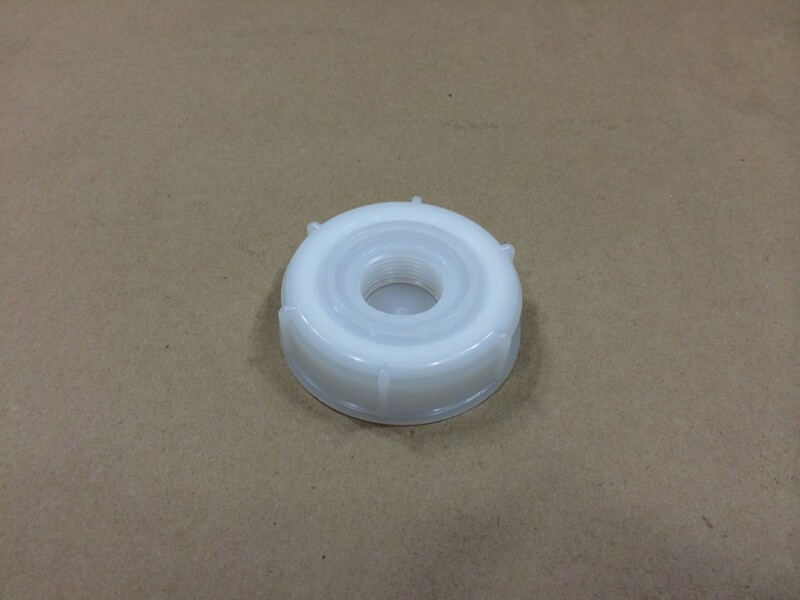 Cap choices may be found on this page. 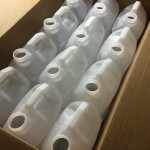 Our 2.5 gallon F style bottles/jugs come packaged either 2 bottles in a 2/pack reshipper box or 24 bottles in a bulk pack. 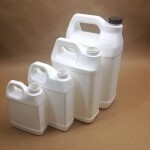 Only the bottles in the 2/pack are UN rated. 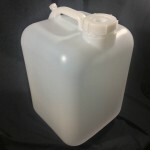 Our 5 gallon bottle is available as a bottle only or with a UN rating as combination packaging with the bottle in the box.